Next you will be asked to specify the folder you would like to go to. 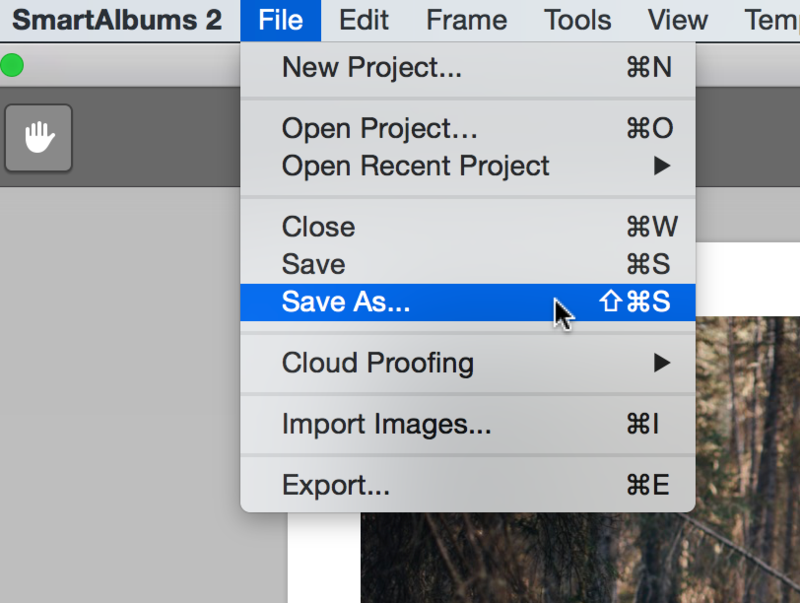 Copy and paste the following text: ~/Library/Application Support/com.pixellu.SmartAlbums/Backup/ and press Go. 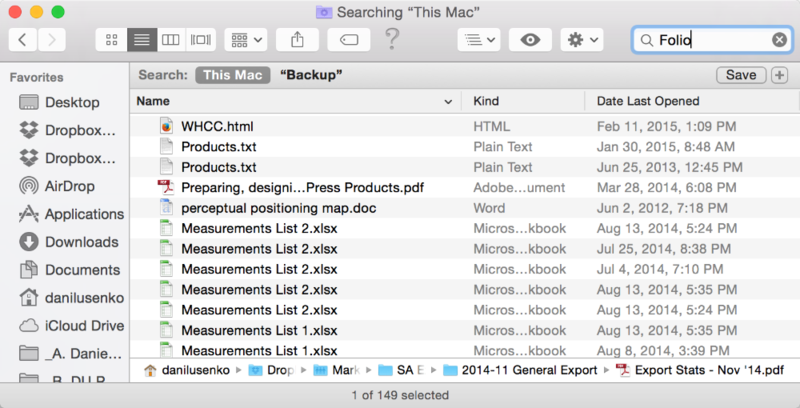 The reason we are seeing all of these files is because by default we are searching the entire computer, not just the Backup folder. 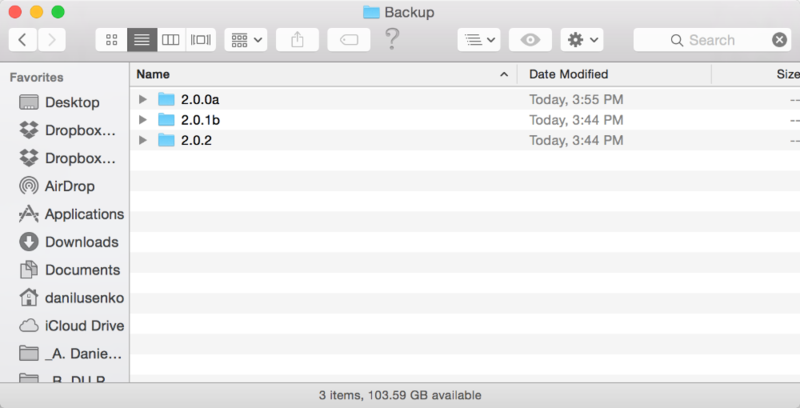 To search just the Backup folder, click on Backup. 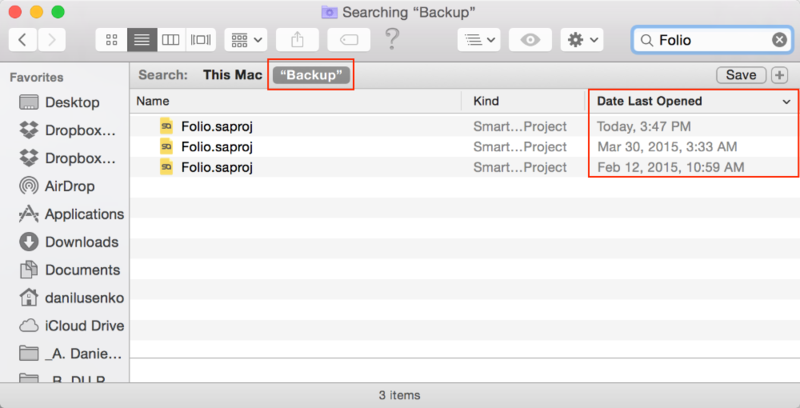 Once you are searching only the Backup folder, you should see backup copies of the project you are looking for. In this case it is the "Folio" project. You can sort by Date Last Opened to see which version of the project is the latest one you are looking for.